In the dictionary, under "Irony" it says "See this sign at The House of Guitars." 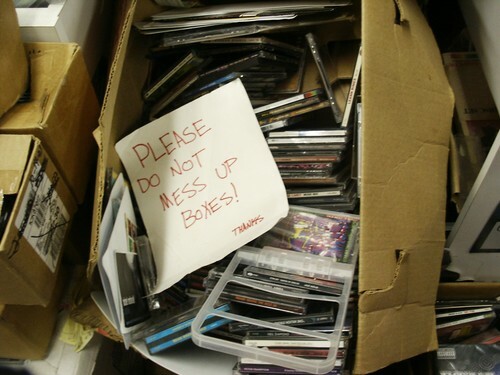 We came across this box with this sign laying in it. Not a prop! Kind of dusty. I get the impression it's been there for awhile... and all around this box are customers digging through boxes, moving merch, rummaging, what have you, while the owner and employees look on.